A..S.A.P. 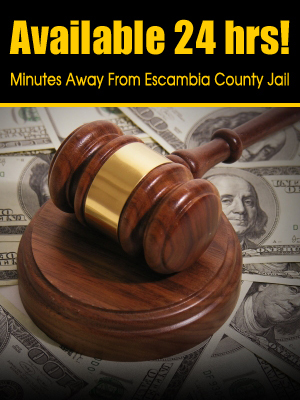 Bail Bonds, is one of the premier bail bond agencies serving Florida State, specializing in the Esambia, Santa Rosa,Okaloosa, and Walton Counties. At A.S.A.P. Bail Bonds our main concern is providing excellent customer service. A.S.A.P. Bail Bonds is opened 24 hours a day 7 days a week. By maintaining a standard of fast, professional service we lead the way in customer satisfaction and getting the defendant released from custody. Everyday we help people just like you with their situations. We are up front on all issues. A.S.A.P. Bail Bonds keeps things simple, confidential and can be of your service anytime day or night. By remaining a family owned and operated bail agency, we can give each and every client the personal attention and service they deserve. We understand what you are going through, we are here to help you and your family, make it through this difficult time. We the owners of A.S.A.P. Bail Bonds have a proud history of service and commitment in providing bail bonds services. A.S.A.P. Bail Bonds wants to be your bail agency of choice for today, tomorrow, and for years to come!